Definitely smiled! How about a grumpy apple?! I don’t know … Pear might get angry. Oh my, that is simply too cute! Glad it brought joy. This pear always cracks me up! I know what you mean. So does my husband. He knows to just turn around and walk away when he sees yarn on the floor and takes one look at my face! Go see more at Drew’s blog! Pear brightens my day, too! Those Pear Drawing are Awesome! And I love your blog! I am trying to get the hang of blogging, trying to learn all the ins and outs of it! Aren’t they fun?! 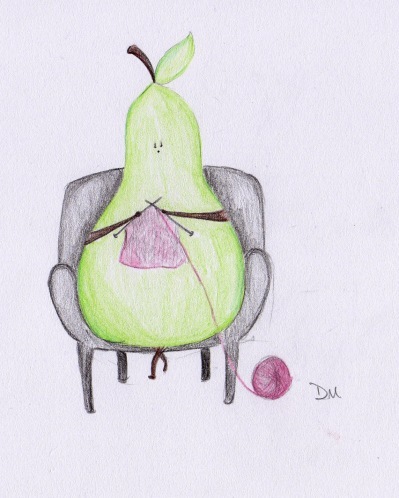 Go to Drew’s blog to see an actual knit pear. Thanks for the kind note about Agujas. I’ve been learning as I go and having fun along the way. Thank you so much. 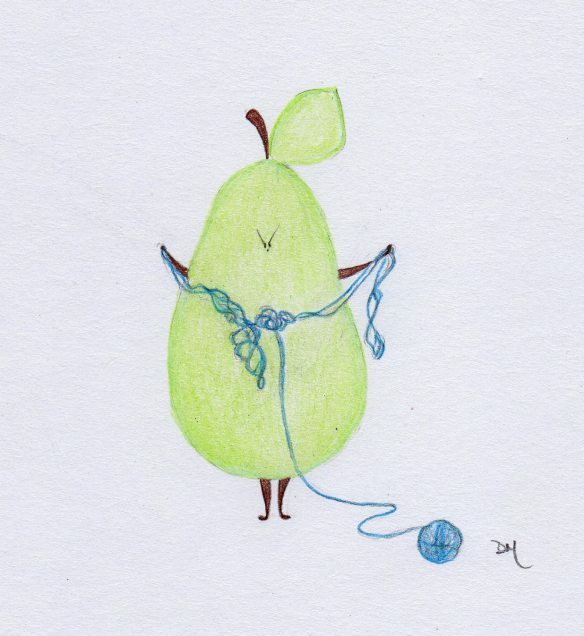 It’s fun to write about knitting and other fiber arts. It will put a smile on your face every time. She has more on her blog. Go have a good grin.